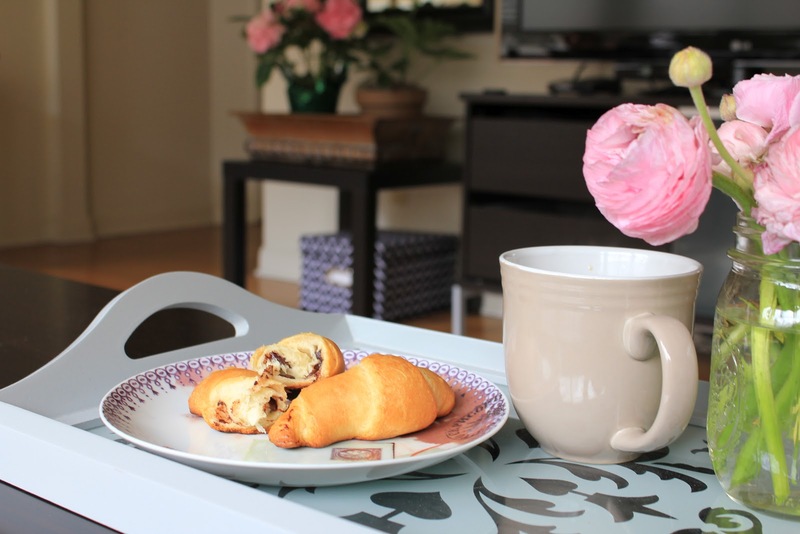 Sunday mornings are our day to sleep in late, lounge around the house, and while we love to go to brunch on weekends, sometimes it’s nice to stay in, brew some coffee, and whip up something quick. It’s been non-stop rain here in San Francisco, and you couldn’t pay me to walk 8 blocks to brunch today. 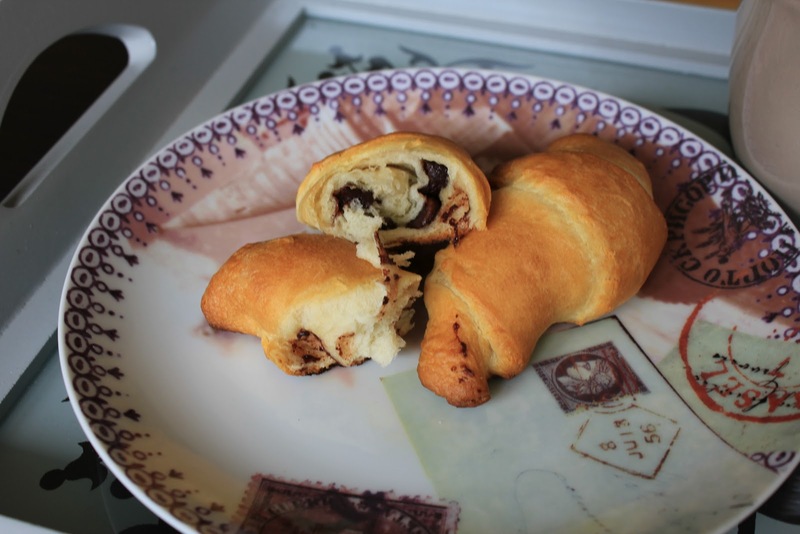 Naturally, I haven’t been to the store to stock up on weekend goodies, so looking at what we had, I realized I could make some chocolate filled breakfast rolls. 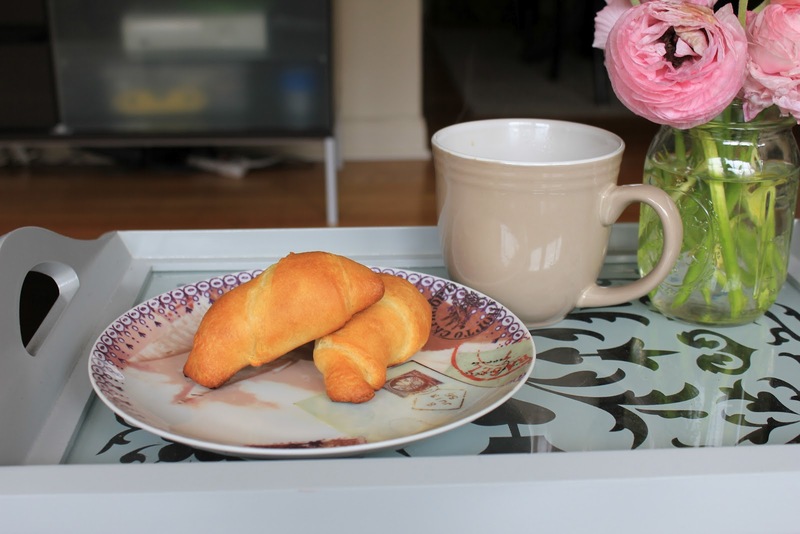 Seriously, the easiest and most delicious breakfast treat. 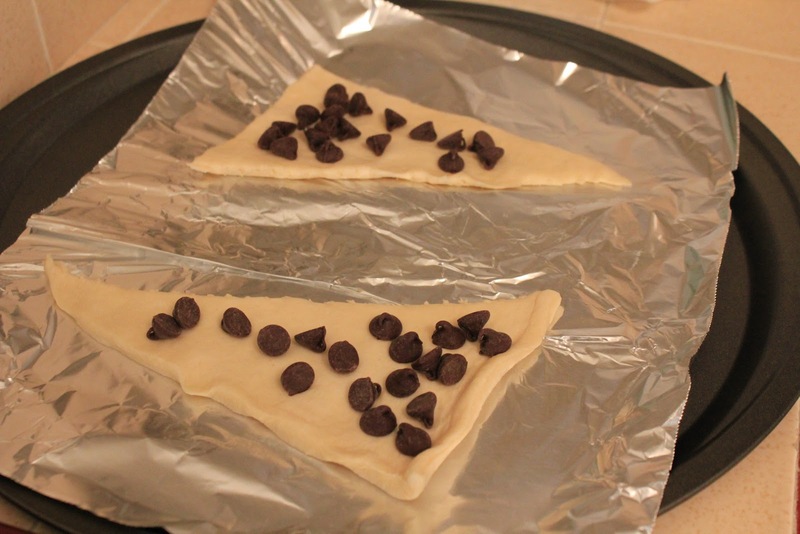 Just roll out the dough on a baking sheet and sprinkle the chocolate chips on the dough. I focused most of the chocolate at the fattest part of the triangle because this is the middle – the best, most fluffy part. 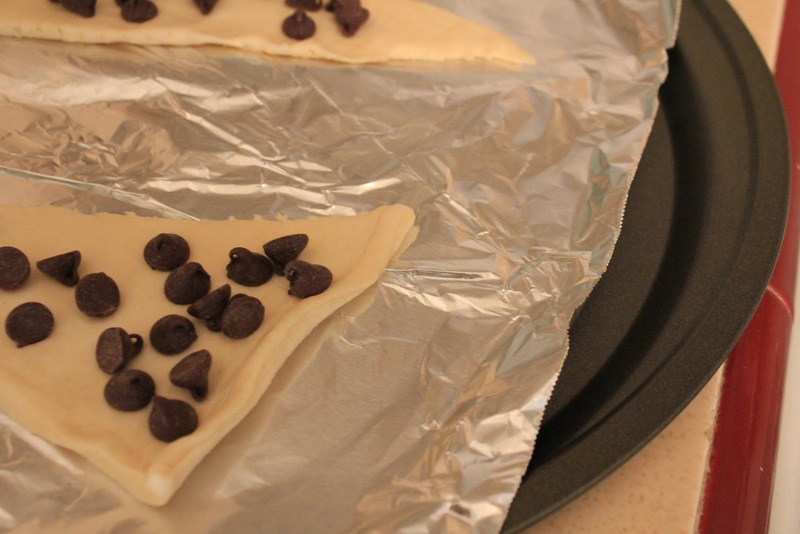 Next, roll them up, starting at the wide end of the triangle, and pinch the ends to be sure the chocolate stays inside once it melts. Brush a bit of melted butter on top before putting in a 350 degree oven (not necessary but it makes them that much better). It took about 10 minutes for them to puff up perfectly! Eat them while they are hot! So delicious!